Let’s face it, most of us rely on Walmart for something we use in our daily lives. Walmart is a gigantic company that pretty much everyone in the country has access to. For years, they have been at the forefront of hiring people with both physical and developmental disabilities. That is why the news that they are completely cutting their greeter positions at more than 1,000 stores is such a big deal. 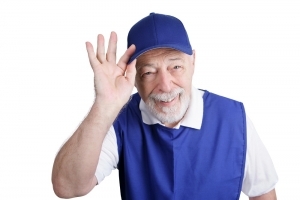 When you go to Walmart, you will likely be greeted by a friendly face and a “Welcome to Walmart.” The greeters are there to assist us with store directions and the occasional receipt check. Many of the people working those positions also have some kind of disability that does not allow them to work in most of the other jobs in the store. By eliminating these positions, Walmart is essentially telling many of these people that they will no longer be able to work for the company. To be fair, Walmart is allowing the greeters to transition to other jobs at the store, but only if they can meet the new job qualifications. Lifting 25 pounds regularly? People in a wheelchair or with disabilities like cerebral palsy are out. After the announcement by Walmart, many are questioning whether this is all legal under the Americans With Disabilities Act. The ADA outlaws discrimination against people with disabilities in most areas of public life. This includes workplace discrimination. However, the ADA does not mean that employers have to hire a person with disabilities to work in all areas of their workforce. 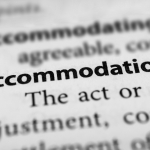 If making accommodations would result in undue hardship for the employer’s operations, then they would not have to make changes. We recognize that there are going to be some jobs that people with disabilities are not able to do. This includes things like law enforcement, firefighting, EMS, pilots, etc. The Walmart case highlights something that happens to many people with disabilities in the workplace – their job descriptions change during the course of their employment. These greeters were hired with the expectation that they would be greeting people at the door, giving directions, and checking receipts. They took the job because they could perform the essential functions it required. When employers change essential functions, often under the guise of improving company efficiency, they are often knowingly putting people out of work. 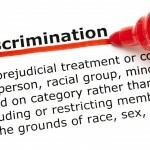 What If I Am Discriminated Against? If you think that you have been discriminated against due to your disability, you should file a complaint with the Arizona Attorney General Office Civil Rights Division. This needs to be done as quickly as possible because the complaint must be filed within 180 days from the time the discrimination took place. Do not stop there. 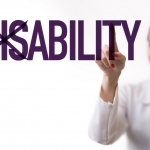 You should also file a complaint with the US Equal Employment Opportunity Commission, the federal department charged with upholding ADA employment laws. 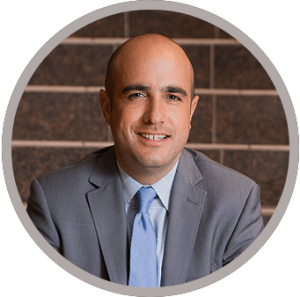 To help you throughout this process, you should secure an Arizona employment law attorney so you have an advocate by your side. Click here for information on the difference between an independent contractor vs employee in Arizona.